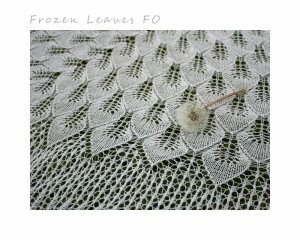 FOs are falling off my needles faster than leaves drop from the trees in Autumn, or so it seems. The only trouble is that I do not have the time to document them properly right now. 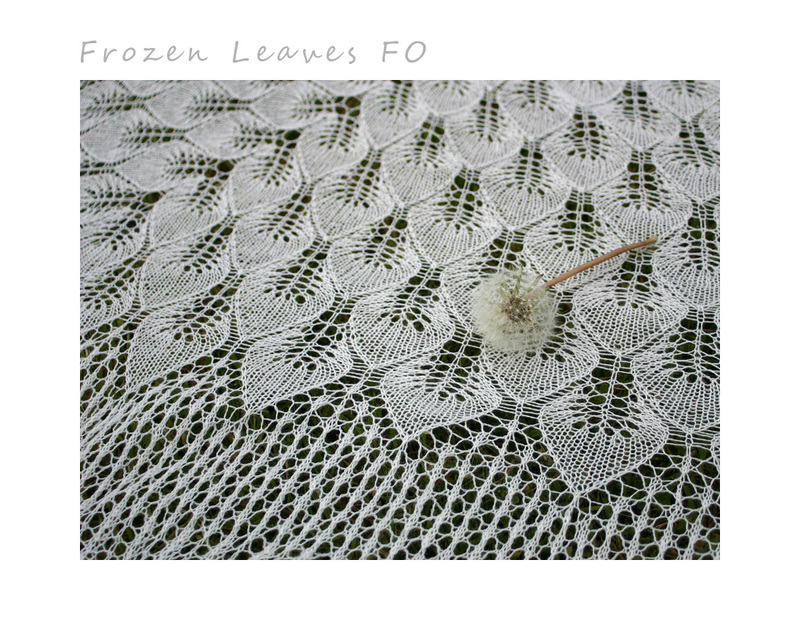 This week’s cursory FO post is Frozen Leaves. 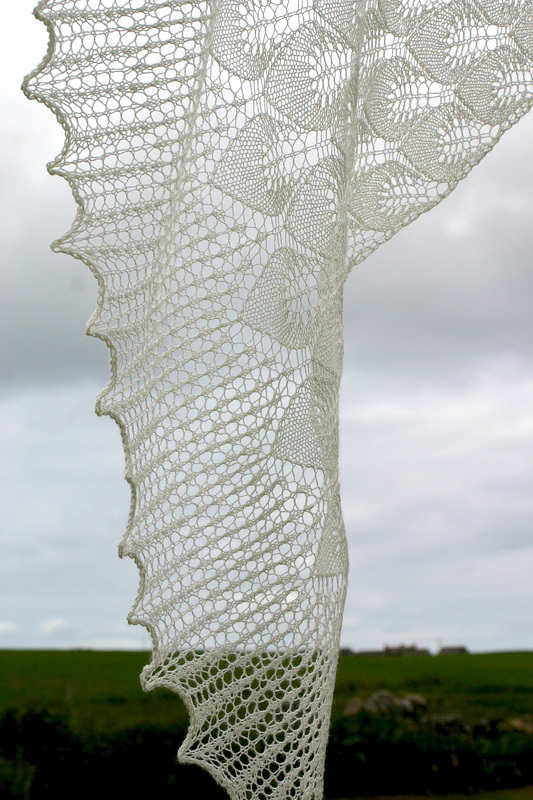 A triangular shawl designed by Anusla for herself.Â The chart presented some challenges when I first approached this project but I learned that it was being re-charted by Sandralice and like2makethings (see Ravelry Forums) – I frogged and began again once the charts were released. It was worth the wait – the new charts were simple and easily followed. Progress was rapid. 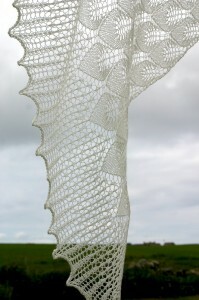 The shawl is very beautiful and I love it, but I shall never use it. I would like to give it away – perhaps to a bride? All I ask in return is a donation to p/hop (or to MSF directly)Â and a photograph of the shawl being worn, to add to this blog. A couple of claims on the shawl are in, but I’d like to receive more and then choose the recipient I would most like to have it. I will post it anywhere in the world at my own expense and I would like the shawl to go perhaps to somebody who lacks the means to acquire an item like this themself – or is otherwise especially deserving of a treat. Contact me if you have a home for this to go to.